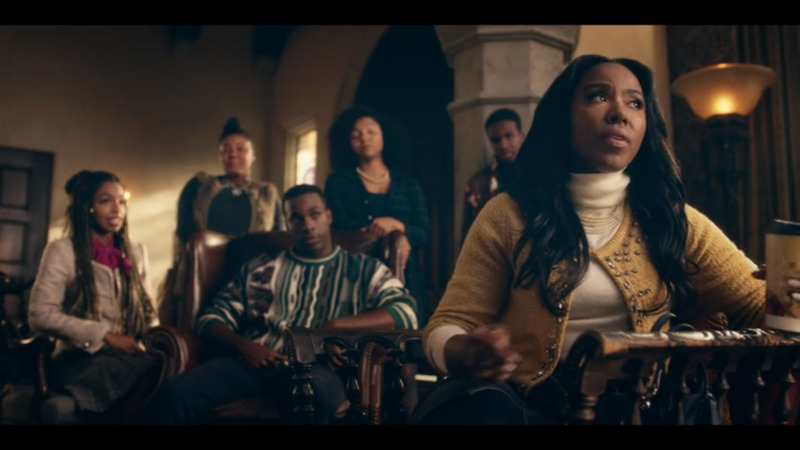 A few weeks ago, Trinidadian Steven Taylor sat in a room filled with stars from practically every popular Netflix series including Glow, Luke Cage, and Dear White People, to name a few. 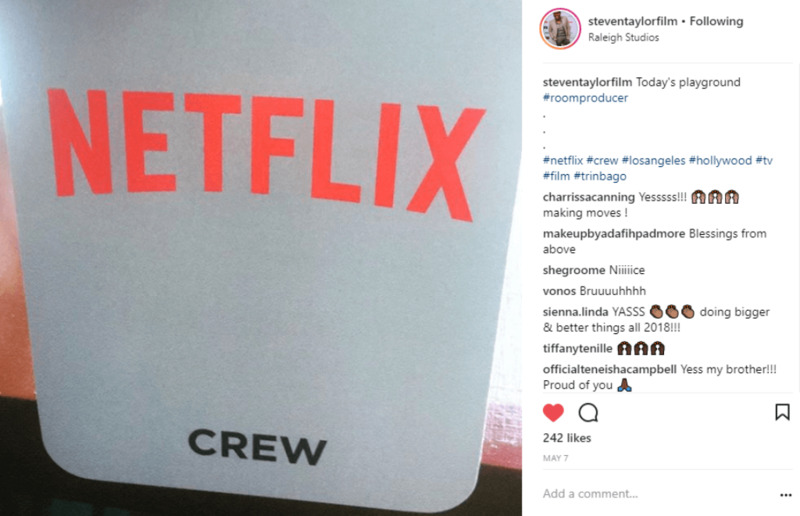 Working as a room producer at a Netflix press junket is just the tip of the iceberg of Steven’s many skills. 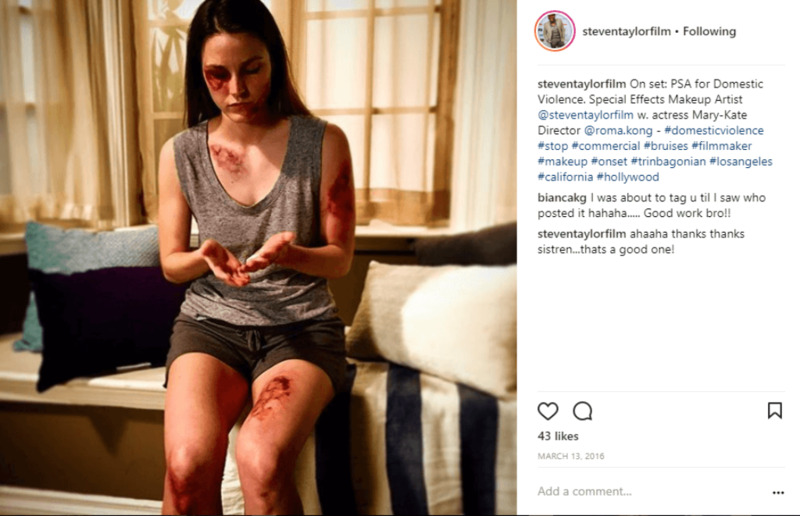 Most people only dream of working in Hollywood, but for Steven, who works as a director and special effects makeup artist, his path to Tinsel Town had been set years ago after watching Jurassic Park. Directed by Steven Spielberg, the film fascinated a seven-year-old Taylor. “He [Spielberg] was able to bring to life something prehistoric creatures to the big screen. He was able to woo audiences and take them back in time, that was intriguing to me,” Steven said. It was probably more than just coincidence that he felt even more of a connection sharing the same first name. “Right there and then at the age of seven in Presidente [cinema] in San Juan,” Steven recalled with a laugh. “I knew that I wanted to do special effects makeup and directing...and that’s what I’ve been doing since then." Understanding that he didn’t have immediate access to the same resources as the blockbuster director, Steven said that he started developing his craft through art. He later went on to pursue a Master programme in Special Effects Makeup, Prosthetics, and Animatronics in Canada, pursued his Bachelors in Film Studies and Film Production at UWI, before completing a Masters of Fine Arts in Cinematic Arts, Film and Television production, focused in Directing at the University of Southern California (USC) in L.A. He got his start in the industry doing special effects (SFX) makeup. “I did every soca artists’ makeup in the industry,” he said. His work in Trinidad has included the music video for Shurwayne Winchester’s track Energy--the first music video to have on-screen special effects makeup in the country; Machel Montano’s Bottle of Rum; Bunji Garlin’s Differentology, Trinidad James’ Females Welcomed and Damian Marcano’s film God Loves The Fighter. He also worked as a Key Special Effects Makeup Artist for National Geographic’s Locked Up Abroad, Home Again, starring Tatyana Ali, and second second assistant director on Bazodee, starring Machel Montano. 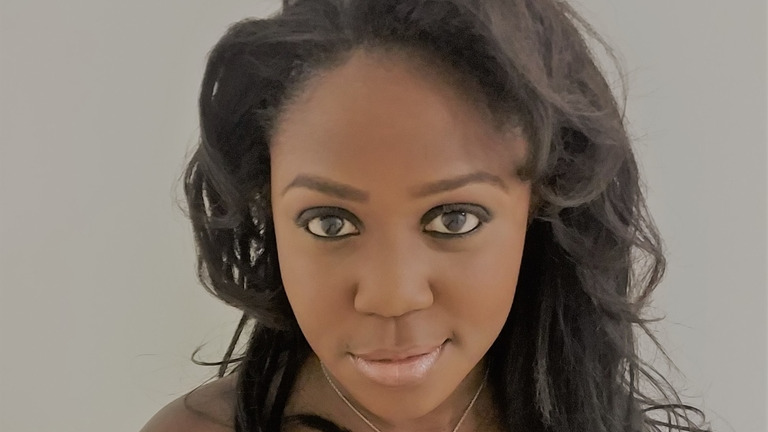 Hand-picked by Brian McFarlane to work for the Summit of the Americas and Commonwealth Heads of Government Meeting (CHOGM), he also served as one of the youngest to lead a team of makeup artists. His first time in the director’s seat actually landed him in a bit of hot water, but, as the age-old saying goes, there’s no such thing as bad publicity. His film, The Other Side of Campus, took an in-depth look at incidences of sexual assault on students by campus security officials. Criticised for being sensationalized in spite of first-hand accounts from students, the film was initially banned from the National Census Board for being too graphic. The film was meant to screen at the Trinidad and Tobago Film Festival but was blacklisted at first. As a result of massive crowd support, Bruce Paddington, Founder and Festival Director was called in to make the change and it was eventually queued up for screening. As is the case with most creatives, Steven spent a lot of time living in Trinidad being misunderstood. Moving to Canada for studies allowed him to come into his own and thrive in his craft. “Before moving, I had no self-esteem. I always heard from people: You’re weird, you’re gay, why are you trying to be white. I initially wanted to be a priest--God is very important in my journey. But I’d gotten a word from him that I’d reach more people through film. He stayed on in L.A. after his studies ended and flourished there, working for some time at Overbrook Entertainment, a production company founded by Will Smith. 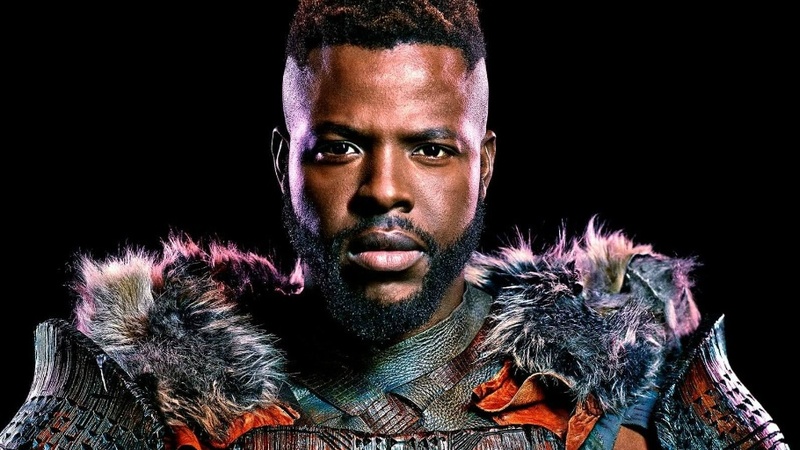 In 2017, he served as second second assistant director for the films Beyond Skyline and Sprinter, a film starring David Alan Grier, Bryshere Y. Gray (Empire) and Lorraine Toussaint (Orange is the New Black). Although he’s based in L.A. he has hopes for bridging the gap between Hollywood and the Caribbean. 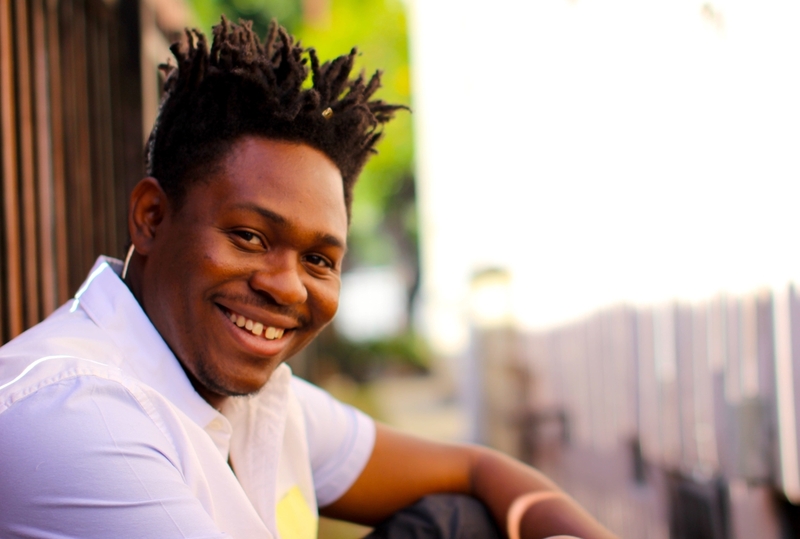 He hopes to start inviting producers to film in Trinidad, thus creating a space where the two locales can exchange cultures and our stories can eventually be seen on the big screen. In the meanwhile, Steven is paying it forward and sharing his skills. 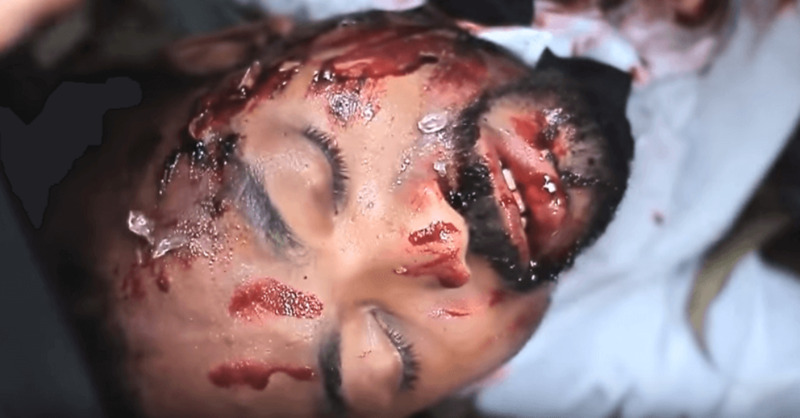 He recently hosted a live Special Effects Makeup Masterclass. He also recently submitted his screenplay for a pilot series, The Apple Is Not Red, to The Black List, an annual survey of the "most liked" motion picture screenplays not yet produced. Of the approximately 1000 screenplays The Black List has included since 2005, nearly a third have been later produced as theatrical films, including successful and award-winning examples such as Argo, American Hustle, Juno, The King's Speech, Slumdog Millionaire, and The Revenant. There's little doubt that the young director is on a clear path to doing great things and stamping his name in Hollywood. Perhaps, in a year or two from now, an aspiring director will sit in a room at Netflix studios and look to Steven as an influence as he introduces his latest series.